The 2017 field season was record-breaking for Operation IceBridge, NASA’s aerial survey of the state of polar ice. For the first time in its nine-year history, the mission, which aims to close the gap between two NASA satellite campaigns that study changes in the height of polar ice, carried out seven field campaigns in the Arctic and Antarctic in a single year. In total, the IceBridge scientists and instruments flew over 214,000 miles, the equivalent of orbiting the Earth 8.6 times at the equator. 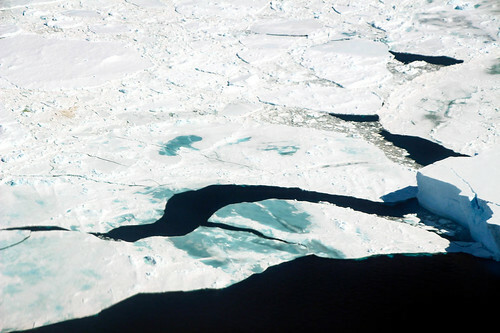 The mission of Operation IceBridge, NASA’s longest-running airborne mission to monitor polar ice, is to collect data on changing polar land and sea ice and maintain continuity of measurements between ICESat missions. The original ICESat mission launched in 2003 and ended in 2009, and its successor, ICESat-2, is scheduled for launch in the fall of 2018. Operation IceBridge began in 2009 and is currently funded until 2020. The planned overlap with ICESat-2 will help scientists connect with the satellite’s measurements.